And don’t miss his previous post on bipolar disorder. 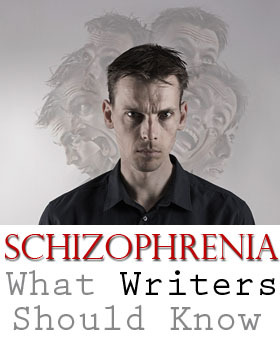 Schizophrenia is probably the most difficult psychiatric condition to write about because there’s so much that we don’t understand. Though we’ve made tremendous strides in recent years, we still don’t know exactly what causes it or why it may affect one person and not another. Genetic studies have suggested that what we call “schizophrenia” probably represents several distinct disorders, each with its own set of symptoms that may respond very differently to medication. In addition to the numerous uncertainties, it’s also incredibly challenging for a writer to accurately present the thought process of someone who has the disease. There’s no way for me to capture all of the complexities of schizophrenia in this article. Research studies often yield conflicting findings, and leading academics may disagree on anything from causative factors (e.g. adolescent marijuana use) to treatment efficacy (e.g. whether clozapine really statistically separates from the rest of the antipsychotics). The condition is further confused by its portrayal in film and literature. Sometimes a work may explicitly state that a person has schizophrenia (A Beautiful Mind), but often times the viewer assumes that any time a character is a psychotic murderer with seven personalities that he or she has schizophrenia. That’s just not the case. I want to use this article to discuss what schizophrenia may look like, rather than talking about its biological basis (which is imperfectly understood) or its management (I’ll cover that in another article). I spent the last year working in a treatment resistant schizophrenia clinic in Atlanta. The most important thing that I want to convey is that the patients I saw were not “schizophrenics.” One patient wanted to become a great tennis player. Another spent eight hours a day writing books. I met with a business owner, a thrift store worker, a college student, a musician, a custodian at Wendy’s, and a sculptor. Schizophrenia is a tough illness, and they were all fighters. Don’t use them as cheap plot devices. They’re complex people with hopes, dreams, goals, and desires. Whatever you do, please don’t lose sight of that. Is Schizophrenia the Same Thing as Having Multiple Personalities? Schizophrenia, on the other hand, can be found in the “Schizophrenia Spectrum and Other Psychotic Disorders” chapter in the DSM. That’s not to say that people with schizophrenia will never report other personality states, but the vast majority do not. No. In fact, “psychosis” can be seen in a number of different situations. Severe depression or mania can have psychotic features. Hallucinations are present in a variety of conditions. Sudden onset hallucinations and behavioral changes are more suggestive of substance use or medical problems (e.g. delirium, brain tumors) than primary psychotic disorders. You can also see hallucinations in alcohol withdrawal, various dementias, and as side effects to some medications. It’s important to rule out medical causes of psychosis before giving a diagnosis of schizophrenia. Hallucinations are also often reported by people with personality disorders and can be a manifestation of primitive coping mechanisms. There are also various internal and external incentives to having a diagnosis of schizophrenia, such as disability payments and taking on a “sick” role. There are probably tens of thousands of people in the United States who are unnecessarily subjected to the damaging side effects of antipsychotics due to inaccurate diagnoses. A commonly cited number for the prevalence of schizophrenia is 1%, though the DSM-5 states that the prevalence seems to be 0.3% – 0.7%. There is some variation across countries. It’s not entirely clear what causes this variation, but some of it may be due to inconsistent diagnostic procedures and different exposures to risk factors. Schizophrenia has a usual onset of early-20s in men and late-20s in women. Late-onset schizophrenia (over the age of 40) is much more common in women than men, though its features are different than typical schizophrenia and may have a different biological basis. There are definite genetic links to schizophrenia, though many people with the illness have no family history. If a person with schizophrenia has an identical twin, that twin has about a 50% likelihood of having schizophrenia as well. This shows that while there’s certainly a genetic component, other factors are at play. Increased paternal age, hypoxia during birth, and early marijuana use are thought to be contributing factors. The DSM-5 lists five “key features” that define psychotic disorders: delusions, hallucinations, disorganized thinking, grossly disorganized or abnormal motor behavior, and negative symptoms. As you’ll see in the diagnosis section below, people with schizophrenia do not necessarily have all of these key features, but they must have some of them. Delusions are defined as “fixed beliefs that are not amenable to change in light of conflicting evidence.” There are many types of delusions. I’ve seen patients who are convinced that certain criminal organizations are trying to kill them. One patient was severely distressed because she believed that she’d given a little boy AIDS through a blood transfusion. Patients may believe that famous people are in love with them. I’ve seen two instances of a rare condition called a Cotard Delusion where the patients believed they were dead, though neither had schizophrenia (one had bipolar disorder, the other had major depression). Hallucinations are defined as “perception-like experiences that occur without an external stimulus.” As I’ve mentioned before, hallucinations can be seen in a variety of mental and physical conditions. Hallucinations during alcohol withdrawal, substance intoxication, and medical illness are very often visual, but auditory hallucinations are more common in psychotic disorders. Though auditory and visual are the most common types of hallucinations, hallucinations can occur in any sensory modality (e.g. tactile, olfactory). Again, you need to think of medical causes of these hallucinations (e.g. migraines, epilepsy, substance withdrawal). Disorganized thinking really stands out during the diagnostic interview. The patient may jump from one subject to the next without any clear connection between the two topics. Sometimes the patient is so disorganized that you can’t get any clear history. It’s important to check for substance use because people who are intoxicated on certain drugs can present very similarly. Grossly Disorganized or Abnormal Motor Behavior can present in a number of ways, but I want to focus on something called “catatonia.” Catatonia can be seen in a number of medical and mental disorders, including schizophrenia. Presentations of catatonia can be very different, but you may see catalepsy (passive induction of a posture held against gravity), waxy flexibility (slight, even resistance to positioning by examiner), mutism, posturing, echolalia (mimicking another’s speech), and echopraxia (mimicking another’s movements). Though catatonia is often thought of as being hypoactive, it can also be hyperactive. Treatment usually involves benzodiazepines, though electroconvulsive therapy can be used for resistant cases. It’s also important to identify and treat the underlying cause. Negative symptoms are especially prominent in schizophrenia and can manifest in a number of ways. People with schizophrenia often show diminished emotional expression on their faces which can be described as a “flat” or “blunted” affect. They may also seem less motivated and display decreased engagement in self-initiated purposeful activities. Negative symptoms are some of the most difficult features to treat. Schizophrenia is listed in the DSM-5 in a chapter entitled “Schizophrenia Spectrum and Other Psychotic Disorders.” Before making any diagnosis, you want to rule out medical causes and make sure that the symptoms aren’t better explained by another psychiatric disorder. The four diagnoses that I want to mention are Brief Psychotic Disorder, Schizophreniform Disorder, Schizophrenia, and Schizoaffective Disorder. Brief Psychotic Disorder is diagnosed when someone experiences one (or more) delusions, hallucinations, disorganized speech, or grossly disorganized behavior for at least one day but less than one month. Schizophreniform Disorder is diagnosed when someone experiences two (or more) delusions, hallucinations, disorganized speech, grossly disorganized behavior, or negative symptoms for at least one month but less than six months. If a person is only experiencing delusions (and not any of the other symptoms), he or she can be diagnosed with Delusional Disorder, which is found in the same chapter of the DSM-5. Schizophrenia is diagnosed when a person experiences two (or more) delusions, hallucinations, disorganized speech, grossly disorganized behavior, or negative symptoms for at least one month but with signs of disturbance for more than six months. Schizoaffective disorder is diagnosed when someone meets the above criteria for schizophrenia but also has a major mood episode (e.g. major depressive episode, manic episode). It’s important for the delusions or hallucinations to exist outside of the mood episode, otherwise the person may be experiencing psychotic features related to severe depression or mania, not schizophrenia. I have patients who come in all the time who say that they have “bipolar schizophrenia.” Though it’s a commonly used phrase, it’s not a diagnosis. The correct term is schizoaffective disorder, bipolar type. Hopefully this was helpful. Schizophrenia and other psychotic disorders are incredibly complicated, and it’s difficult to do the illnesses justice in a brief article. There are all sorts of people on the Internet claiming to have schizophrenia who don’t, so doing research by reading message boards and watching YouTube can get confusing. Remember, we’re probably dealing with several different disorders, so schizophrenia can present very differently. If you choose to include schizophrenic characters in your work, please retain their humanity by recognizing that beneath all of the psychotic symptoms there’s a very real person. This was a very humane and informative approach to a devastating brain disorder. I love the article. As such, I’m an aspiring writer, with a situation in my story I need medical advice for. Are there psychiatrists out there that’d be willing to impart their expertise, so that I don’t horribly misrepresent psychiatry in my story? Any assistance, advice, or guidance would be incredibly appreciated. Thanks. Thank you! I have a son who just finished graduating High School and had his whole world turned upside down by schizophrenia. He struggles daily with the most horrific delusions and we are working with Dr’s to get his medication to the right level. Sweet, kind and gentle, he wouldn’t hurt a fly. Thank you for your advocacy, I hate seeing them portrayed in Hollywood or in books as violent criminals or people you are afraid to be around, it simply is not the case.